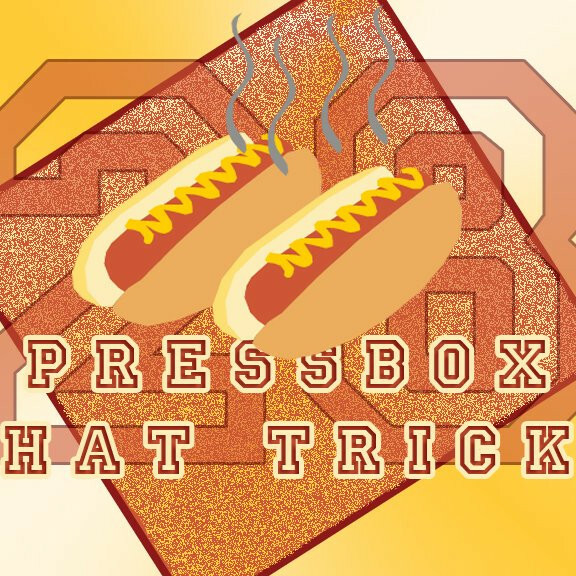 For episode 111 of the Pressbox Hat Trick podcast, Tristan D’Amours and Harrison-Milo Rahajason welcome The Ice Garden’s managing editor Hannah Bevis! Tristan Harrison and Hannah talk about all things women’s hockey: The CWHL Draft, the CWHL’s two Chinese teams, the difference between the CWHL and the NWHL in terms of paying players and much more. We also debut our StingerLand segment, where we talk all things Concordia Stingers. This week on StingerLand: How did the Stingers do at the Rugby World Cup in Ireland? How did the Stingers football team do in its season opener? Finally, how did the basketball teams fair up against NCAA opposition?